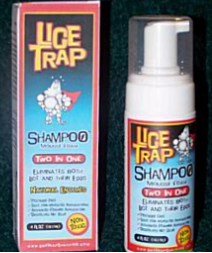 Lice Trap Shampoo Mousse Foam eliminates both lice and their eggs. Pesticide free. Made from natural enzymes. Pesticide free. Safe for repeated applications. Advanced foamer applicator. Dissolves nit glue. Non-toxic. Safe for all ages.